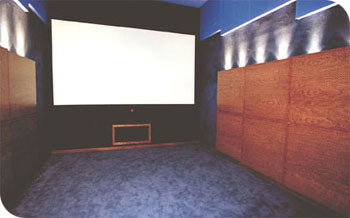 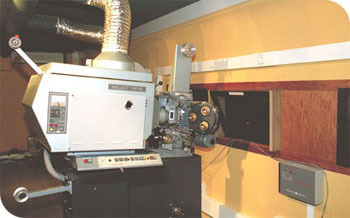 Sonygrafs wealth of experience gave rise to Digit Sound, conceived to meet the challenge of addressing the demands of the increasingly more prolific and prestigious Spanish cinema industry, leading the group to multiply its facilities and equipment with state-of-the-art technology in sound track recording and dubbing. 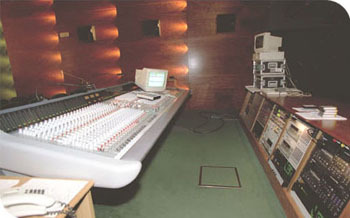 Digit Sound is the synergy of our investment in hard work, enthusiasm and technological capacity, reaching a high level of independence and competitiveness in our services: recording dialogues - mixing control - recording music in the room and the making of soundtracks - a quadraphonic bi-amplified facilities , a studio officially approved by Dolby Laboratories London, for making films with analogue and Dolby digital stereo - projection in double-band 16mm with sound recorded onto the film. 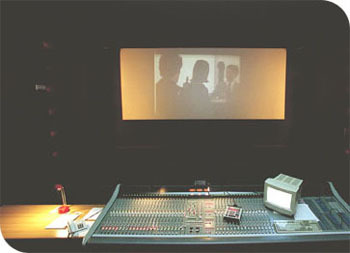 Mixing for cinema and television. 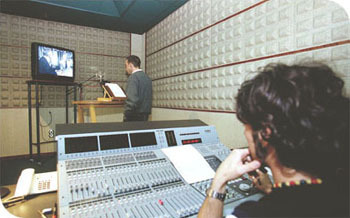 Recording of dialogues and musics. 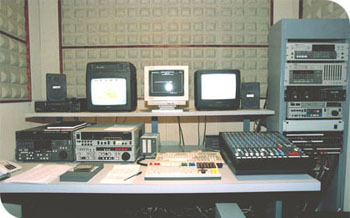 Preparation of M+E. 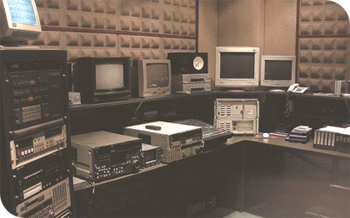 Fifty years of non-stop involvement in soundtrack recording and dubbing for television and advertising have seen Sonygraf grow constantly, expanding its facilities and modernising its equipment with the latest audio technology to continue to guarantee quality of service. 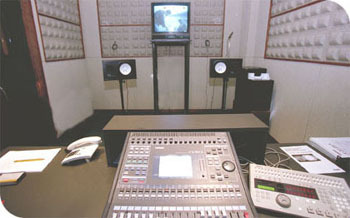 The companys 1.500 m2 facilitiy houses 8 audio recording studios for video and television fitted out with totally state-of-the-art sound technology, and a capacity for 1.700 hours of dubbing. 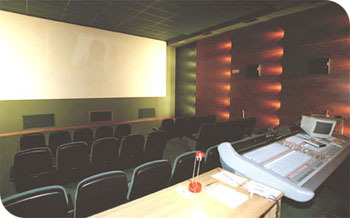 Sonygraf strives to do a great job, but we also believe that it is important for our clients and our own professionals to be able to work in a comfortable setting, which is why we have 2 Bars, one in the cinema room, and a Restaurant-Bar on the terrace, as well as a private 30-vehicle car park.